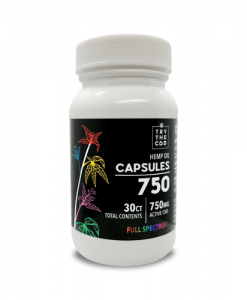 CBD Capsules and drug Interactions | Can Capsules mix with my meds? 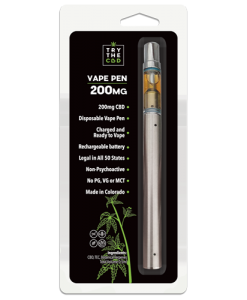 Posted on January 2, 2019 February 7, 2019 by Gregg A.
CBD medical uses are becoming more and more widespread. However, many people are on other medications as well. While a lot of people turn to CBD so they can get off of other medications, for some people that may be an option. If you have to stay on a certain medication in order to survive or sustain life, getting rid of all of your prescriptions is not a viable option. Instead, what you need to be aware of is CBD medical interactions. If CBD has the potential to interact or even nullify your medication, this is important to note and take into account. In this case, CBD may not even be right for you. I know this might sound a bummer to many of you out there who know how CBD can be useful. But the reality is that if it is interfering in your current medical treatment then you need to be careful. As it can make things worse for you if CBD starts interacting with other medicines. This blog is written in order to address problems that are related to CBD medical interactions. Let’s get down to it. What does CBD look like when it comes to playing well with others? Does it interact or react with any medications? Is it safe for everyone to use or should some people take a second look? This is a lot more complex than just answering it in a single sentence. CBD interacts with your entire body and if you’re on medications there are chances that it will react or interact with the meds. In this article, we’ll examine all of that and get it figured out. When we take any medication or substance, our bodies have a system in place to move the substance safely out. It uses organs like the liver and kidneys to flush out toxins and keep our bodies safely regulated. First, the liver adds an oxygen molecule to the chemical, which makes it more water soluble. Then the kidneys can flush the chemical out of our system. It’s a very efficient way to keep our blood clean and remove toxins. The liver adds that oxygen molecule using an enzyme that is part of the system. The enzyme is called cytochrome P-450. The liver makes the cytochrome P-450 enzymes when it is healthy. A liver that is struggling may have difficulty is doing its job of cleaning the chemicals out of our system. Some drugs put a strain on that enzyme system. Others act as an inhibitor, and either use up all the available enzymes, or even shut down production completely. CBD acts as a potent competitive inhibitor of cytochrome P-450 enzymes. What this means in practical terms is that the drugs that we take aren’t removed from the blood stream the way we expect them to be when we are using CBD. Modern medication dosing is based on the understanding that a normal liver will get rid of the drug in a certain number of hours. However, the recommended dosing is based on that of a healthy liver and healthy cytochrome P-450. That’s why some medications have to be taken twice a day, for example. The liver has cleaned them out too quickly and their supply must be replenished. When the production of the enzymes are inhibited, the drugs stay in the system longer. The levels of the drug may get too high. This is definitely something you want to avoid at all costs. Still, most of the time, all of this does not present a problem. Medication dosing can be taken at a different time of day than the CBD, for instance. Then they are not adding up into the system at the same time. But for some drugs, the dosing and the amount of the drug in the system is critical to the medication working properly. Drugs that can accumulate to dangerous levels are of particular concern when taken with CBD. These are anti seizure medications and warfarin. It’s important to be aware of this possibility so that you can talk it over with your doctor and figure out a safe solution for you. Going over your intentions with a medical professional is essential if you want to make sure you are not bringing unnecessary harm on your body. The recommendation is to take a standardized dose of CBD at the same time daily. In addition, the patient should have both the drug levels of the medication and the liver enzyme levels checked to ensure safety. This is important to do on a regular basis. You don’t want your health to get away from you. Some heart medications used for arrhythmias and blood pressure may also build up higher levels in the blood when taken with CBD. Your doctor may suggest lowering the dose of medications after doing home blood pressure monitoring. Alternatively, he or she may just recommend doing blood pressure monitoring at home to make sure no side effects are occurring. For anyone taking CBD and any blood pressure or heart medication, taking the blood pressure medication daily, at the same time, and bringing that log into the doctor’s office is a practical safety measure. This may seem like a lot to do, but it’s an important step to take for your health. Having a log like this can help to explain anything that happens and help to keep you safe as well. Antidepressant, antipsychotics, and benzodiazepine anxiety medications are mostly metabolized by cytochrome P-450. The levels of these drugs can get too high when CBD is on board. You should talk to your doctor about this possibility. It is important to notice any side effects of too high a dose. In particular, this may included lightheadedness or falling. But these are not drugs a person should take themselves off of without medical supervision. If a person wants to move from prescription drugs for mental health to holistic treatments for anxiety and other conditions, which can include CBD, the transition must be done under medical supervision. There can be life threatening consequences of stopping these medications too rapidly. You should not do this, no matter how much you think you know about CBD or how much research you have done. Other medications that may need to have levels checked and dosages adjusted include HIV antiretrovirals, antibiotics, proton pump inhibitors like Prilosec, and cholesterol medications. For all of these drugs, a healthy liver is an important element of safe drug use. In addition, that includes both CBD and prescription medications. Part of regular medical supervision when a cytochrome P-450 inhibitor drug is taken is testing liver enzymes. For more information on safe drug interactions with CBD and cytochrome P-450 inhibitors, Project CBD has an excellent introductory article on the kinetics of CBD. The Flockhart Table is a complete list of drugs metabolized by cytochrome P-450. People who are unfamiliar with the world of CBD often ask this question next. Isn’t CBD illegal? It comes from marijuana, doesn’t it? Not always. At least, not exactly. In fact, most CBD oil comes from the hemp plant. Hemp plants contain lower amounts of THC. Growers specifically breed them this way for specific use cases. For example, people don’t turn to hemp plants to get high. Instead, hemp plants serve all kinds of industrial purposes. This includes forming household items like rope, clothing, and more. There are so many potential uses for hemp and the best part is that this plant is completely legal. You may have seen hemp bracelets or even skin care products like lotion containing hemp. That’s because hemp plants do not contain the illegal aspect of marijuana, which is THC. THC is the cannabinoid in marijuana that causes a psycho active response. In other words, THC is the part of marijuana that gets you high. People turn to these strains of cannabis for recreational uses and for the purpose of getting high. People turn to hemp plants, which are in the same family but have different properties, for other uses. This is where CBD comes from. It does not usually come from the strains of marijuana plants that contain high levels of THC. Instead, it comes from the hemp plants that exist mainly to serve more industrial purposes. That’s why CBD is not an illegal substance. As long as it contains no THC, you more than likely can purchase it anywhere, even in states where marijuana is outlawed. CBD is legal in most places, whereas marijuana itself is only legal in a few places. There is a difference between marijuana and CBD hence there is a distinction in the legality status as well. Most places where Marijuana is legal, CBD is legal as well. On the other hand, where CBD is legal there are high chances that marijuana is not legal in the same state. Laws around CBD oil consumption are not fairly easy to understand. However, one must know that there is a difference between CBD and marijuana. 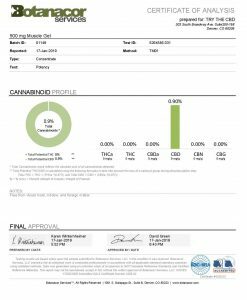 CBD oil lacks a compound which is present in marijuana, this compound is known as THC. THC is solely responsible for the high and is not found in CBD. The legality of marijuana is expanding across the United States of America. And once this happens, CBD will also become automatically legal. More places have passed laws that allow marijuana for medical use as prescribed to certain patients in need. Fewer places have made marijuana legal completely, even for recreational use, but the trend is growing. It’s likely that we’ll see loosened laws and greater freedom when it comes to marijuana as time goes on. When you consider incorporating CBD into your daily regimen, you may have questions about why people are so into this substance. What’s the big deal? Why is it making headlines lately? People have been smoking marijuana for centuries. Isn’t this the same thing — just a big craze? No! In today’s modern age, people are discovering that CBD has many therapeutic benefits to offer. One of the best parts is that it offers a lot of the benefits that marijuana does, just without the side effect of getting high. That’s why it’s growing in popularity. Use of the cannabis plant isn’t just for stoners and burnouts anymore. This is where CBD gets an edge over marijuana and cannabis. The fact is that CBD is beneficial for not just curing or reducing the symptoms of diseases. But it actually is working well in creating a lifestyle that is healthy among its users. 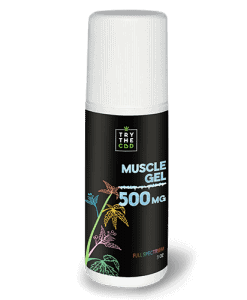 Currently, CBD oil is being used by professional MMA and FC fighters. These include Nate Diaz who is the former world champion. These fighters are using CBD oil because it helps in inflammation and is not addictive. Secondly, did you know that CBD oil is also being used to treat pets? Well, yes dogs and cats after consuming CBD tend to be more energetic and lively than ever before. 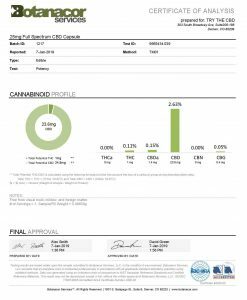 The truth is, even well respected executives and athletes are turning to CBD for help with a variety of ailments. Celebrities and notable people in our world have come forward to the public sharing that they use and benefit from CBD. 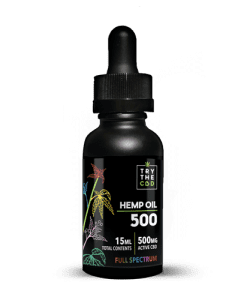 As this trend becomes more widely accepted and acknowledged, it’s likely that more and more people will open their minds to the good things that CBD has to offer. While the scientific evidence and dedicated studies leave a lot of room for expansion, the circumstantial evidence and anecdotal stories are pouring in. People from all over the world report unbelievable benefits from their use of CBD medical ways. The claims have included some very significant things. For example, there are numerous reports that CBD has a beneficial effect on seizure disorders like epilepsy. In some cases, seizure activity stopped entirely or was greatly reduced. Some claims even report that CBD helped to shrink cancerous tumors. This is a big claim and one that will require years of further investigation and studies. Still, the suggestion that CBD might possibly be able to help cure or treat cancer is a major world changer. In addition, people report using CBD to treat a huge variety of illnesses and conditions. This includes but is not limited to insomnia, anxiety, Parkinson’s disease, Alzheimer’s disease, and many more. It is not yet clear how CBD can change or help these things. Still, with so many people speaking out about the benefits they have received through their use of CBD, further scientific studies are sure to follow. 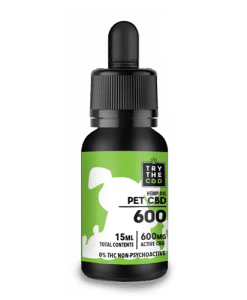 In fact, people are even turning to CBD to help their pets! That’s right — just like CBD may be able to help us, CBD may be able to help our dogs and cats. Sure, we’re not the same species, but that doesn’t mean this miracle plant can’t affect us both in positive ways. 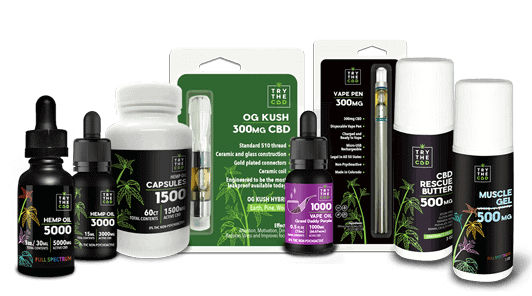 If you’re ready to give CBD a try, browse our wide selection of products for one that seems right for you. 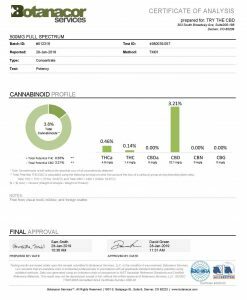 We like to point out again and again that we’re a site that is not just here to sell CBD. 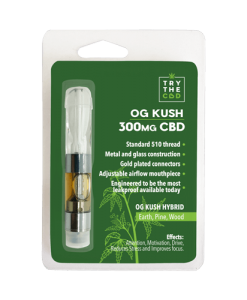 Trythecbd.com’s main aim is to bring in awareness and sense of compassion for a healthy life. CBD has always been under a lot of scrutiny due to its controversial nature. Now, times are changing and it should change for you as well! Don’t hesitate to reach out and get in touch if you have any questions. We are happy to help and want to ensure you have the best experience possible.